A little boy returned from Sunday school with a new perspective on the Christmas story. 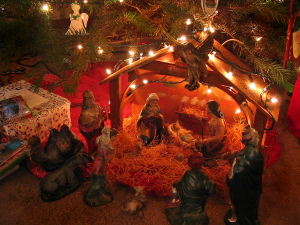 He had learned all about the Wise Men from the East who brought gifts to the Baby Jesus. He was so excited he could hardly wait to tell his parents. "I learned all about the very first Christmas in Sunday school today! There wasn’t a Santa Claus way back then, so these three skinny guys on camels had to deliver all the toys! And Rudolph the Red-Nosed Reindeer with his nose so bright wasn't there yet, so they had to have this big spotlight in the sky to find their way around!"